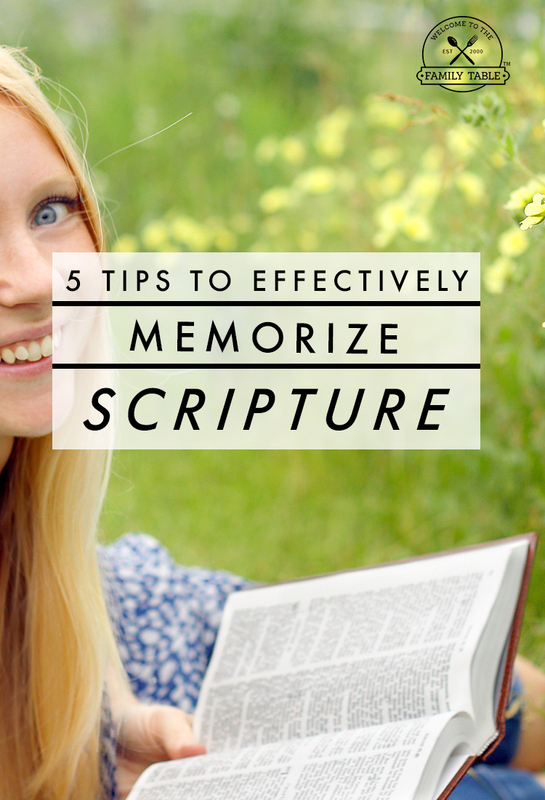 Have you ever wondered how you could effectively memorize Scripture? Have you ever started to memorize Scripture only to fall off the wagon time and time again? Have you ever felt like your life is so busy that you don’t have the time to memorize Scripture? I’ve been there. 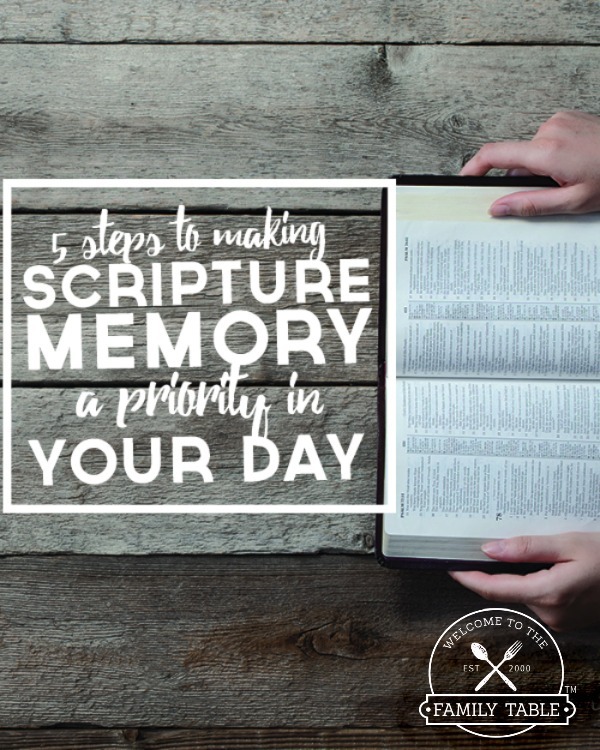 And today I want to share with you some tips that have helped me make Scripture memory a part of my everyday life. Scripture memorization is a habit that I began forming back in the fall of 1998. 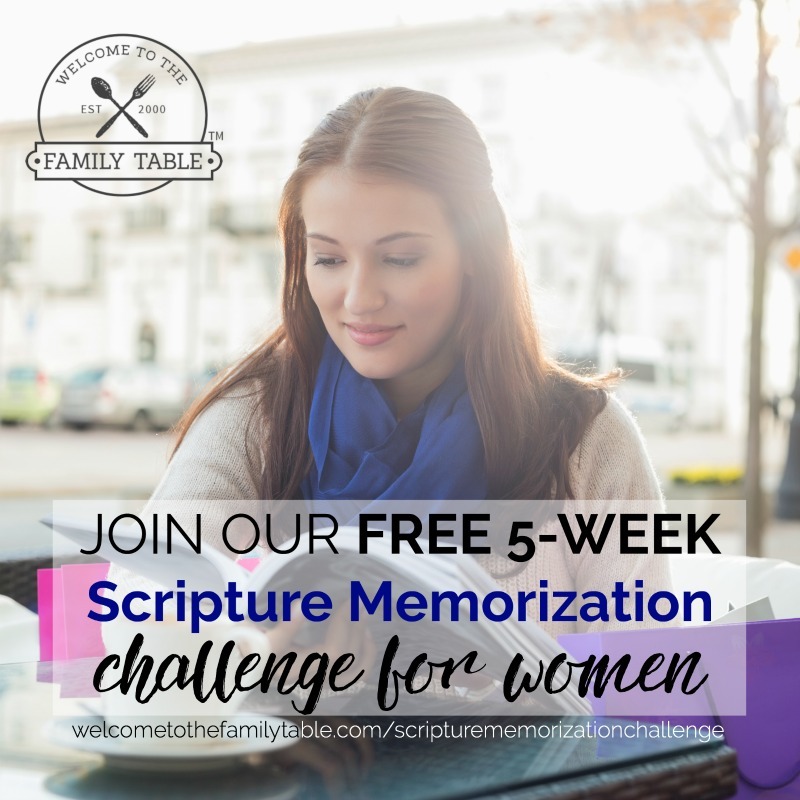 Although I was a brand new Christian, I had a solid conviction that I needed to make memorizing scripture a priority in my life. At the time I was unsure how I could add memorizing Scripture into my life as a full-time university student who was also working full-time. After praying, God made it abundantly clear that I had time in my day to effectively memorize Scripture. He also let me know that when approaching this new habit I needed to give myself grace and allow His Spirit to guide me. I am so glad that this was established in the beginning of my memorization journey otherwise I might have become legalistic about it. These 5 habits I am sharing are the foundation that has fueled my passion for Scripture memory these past 20 years. I hope these tips can help someone out there who is overwhelmed (like I was) realize that with some discipline and grace you can add easily add memorizing Scripture to your day. And it is likely that you are already doing some of these things (maybe even all 5) already. Sometimes we just need a gentle reminder or shift in our mindset to keep us motivated. 1. Read at least one verse a day. Now it is important to not be fooled into thinking that we need to spend hours reading the Bible to be a “good Christian”. The truth is, very few of us will retain what we read because we are so busy being parents, working, etc. I have found that as long as I am committed to reading at least one verse a day, not only do I retain what I read but I feel so much closer to God. Another effective tool I use to make sure I am reading at least one verse a day are these memory verse cards. Because of their portability, these give me the ability to take the Word with me wherever I go. I have a set of these printed for home, my purse, and my van! That night as I went to sleep I felt a boldness like never before. I was no longer afraid of sleeping alone in my university apartment. The peace of God filled my heart and mind. And guess what else happened? I never ever forgot that verse! Praying the Scriptures has been another effective tool for my Scripture memory journey over the years. 3. Write out at least one verse a day. Another way that I’ve been able to safely tuck God’s Word away in my heart is through writing the Scriptures. As you know, everyone learns differently. When we take something we are learning and tackle it from various avenues, our brain begins to connect the information making it concrete in our minds. Writing is just another tool we can use to effectively memorize Scripture. I suggest writing out one verse until you memorize it. 4. Meditate on one verse until you memorize it. One question I am often asked is: What exactly is meditation? According to Merriam-Webster’s online dictionary, meditation means: to spend time in quiet thought for religious purposes or relaxation. When I mediate on a Bible verse I find myself thinking about it all throughout the day. I literally roll it around in my mind over and over and over. As I meditate on the verse, not only do I memorize it, I also begin to see a deeper meaning. 5. Talk about the verse you are memorizing. Let’s be honest, as people of God, nothing is more exciting to talk about than Jesus! One effective tool I’ve found to help me memorize Scripture is to chat with my family and friends about the verse I am memorizing. Not only are we speaking life into existence when we talk about God’s Word, we are also building our own faith. That means that every time we talk about God’s Word, we are hearing it and building our own faith. Isn’t this wonderful? And of course as we listen to others share God’s Word, we are also building our faith. It is a beautiful thing, isn’t it? As you create the habit of memorizing God’s Word, you will began to see a tremendous change in your heart and every-day attitude. There is no denying that God’s life-giving Word has the power to make us new. You will start see life from a new perspective, one filled with Christ-like thinking and behavior. You will begin to see answers to the problems that have had you bound. You will begin to lead a life that is more pleasing to the Lord. You will continuously grow closer and closer to Jesus. Here I am 20 years later, still using these daily methods to memorize God’s Word. And it works! I love Scripture memorization so much that I wrote a book about it. 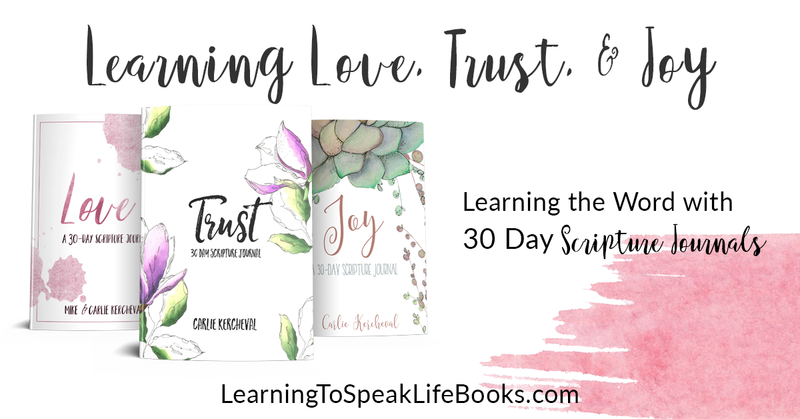 In my book, Matters of the Heart: a 52-Week Scripture Memorization Journey for Women, I encourage women for an entire year to memorize Scripture through reading, writing, praying, meditating, and talking to others about their faith.